Barbara Delinsky, author of BLUEPRINTS (2015), SWEET SALT AIR (2013), ESCAPE (2011), NOT MY DAUGHTER (2010), WHILE MY SISTER SLEEPS (2009), THE SECRET BETWEEN US (2008), and FAMILY TREE (2007), has written more than twenty-one bestselling novels with over thirty million copies in print. She has been published in twenty languages worldwide. Barbara's fiction centers upon everyday families facing not-so-everyday challenges. She is particularly drawn to exploring themes of motherhood, marriage, sibling rivalry, and friendship in her novels. A lifelong New Englander, Barbara earned a B.A. in Psychology at Tufts University and an M.A. in Sociology at Boston College. 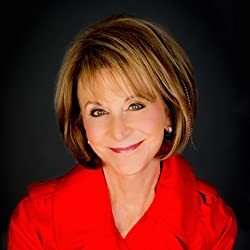 As a breast cancer survivor who lost her mother to the disease when she was only eight, Barbara compiled the non-fiction book Uplift: Secrets From the Sisterhood of Breast Cancer Survivors, a handbook of practical tips and upbeat anecdotes. She donates her proceeds from the sale of this book to her charitable foundation, which funds an ongoing research fellowship at Massachusetts General Hospital. Please enter your email address and click the Follow button to follow Barbara Delinsky!